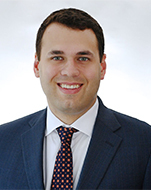 Zack Walker is an associate at Picard Kentz & Rowe where his practice focuses on representing clients in trade remedy proceedings before the U.S. Department of Commerce, the International Trade Commission, and in federal courts. Mr. Walker joined Picard Kentz & Rowe from the U.S. Court of International Trade where he served most recently as a law clerk to Chief Judge Timothy C. Stanceu. He has also worked as a staff attorney for trial and appellate level judges in Ohio. Mr. Walker earned his law degree from Case Western Reserve University School of Law. He is also a graduate of the London School of Economics and Political Science and John Carroll University. Mr. Walker is a member of the Customs and International Trade Bar Association. He is a native of Cleveland, Ohio.